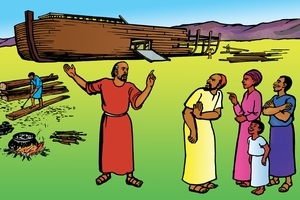 रुपरेखा: The story of Noah. God hates sin and must punish sin. There is only one Person whose blood can make payment for sin. God has provided a way of salvation. Listen and you will hear next about the way of salvation God has made for those who believe and obey Him.